Sometimes sport can seem like a young woman's game but we all know really that's just at elite level. Dip down just a little and you'll be surprised who you find out getting their jig on. A few weeks ago I realised that even at elite level there is no need to call a halt just because the numbers say so. Today's post is dedicated to a fighter I thought long-retired and greying. Also this weekend I'd like to remind you about the Polish documentary 'Down but Not Out' which I reveiwed here in April. That is now available for download from Vimeo with 50% discount for readers of this blog using the promo code "Niamh"
Click here on Vimeo on Demand 'Down but Not Out' and enjoy! She took some time off to have a family ie maybe 10 years and rest on her multi-champion laurels.That was that, or so it seemed. And then I spotted her face on posters flying about online again just a few weeks ago. It's really great now to have so many female fighters posting on blogs, Facebook and Twitter. It's so easy to know what's happening even on other continents. Watching this clip uploaded by SinbiMuayThai Gym, it's clear she's lost none of her technique or power. 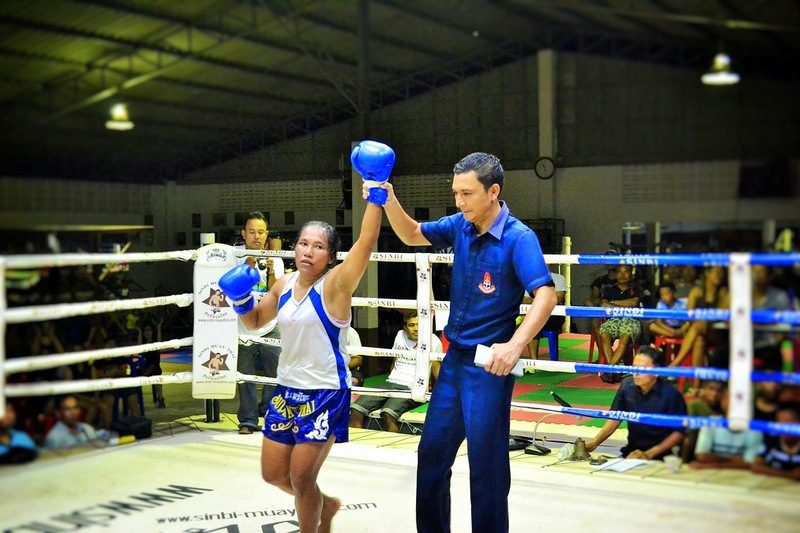 Her style is very Thai meaning she was so relaxed for the first few rounds and then explodes in the 3rd and 4th to take a comprehensive points victory. 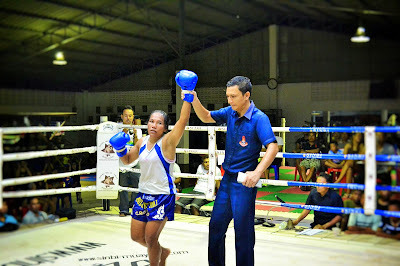 Hats off to her opponent Monica Brenes from Costa Rica who did her best against simply one of the toughest fighters, male or female to come out of Thailand.